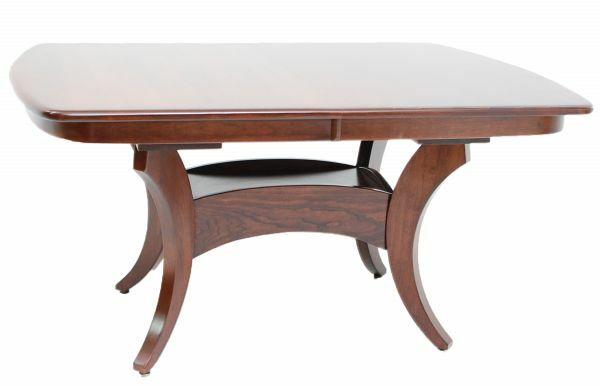 42″x 60″ Galveston Trestle Table shown in Cherry. Standard Features: Waterfall edge, self-storing leaves. Available in sizes: 42″-48″W x 48″-60″L (6″ increments).